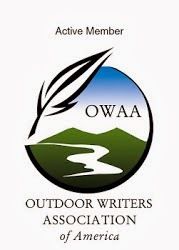 TU and the Outdoor Blogger Network announced the winners of their blogging contest yesterday. Some great writers there who you should check out. Yours truly ended up with nary a mention but I am magnanimous in my defeat and wholly devoid of bitter thoughts. 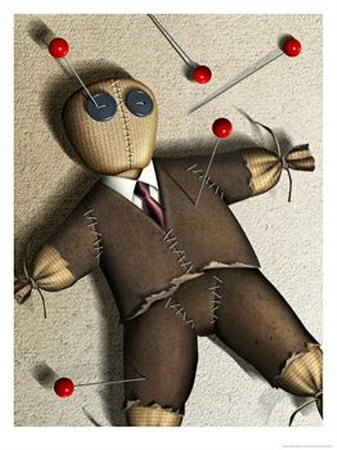 By the way, I've misplaced my voodoo doll catalog. If you've seen it, shoot me an email. You can help Save Bristol Bay by winning a trip to Bristol Bay. I'm fishing the Kvichak River in August. Look forward to seeing this beautiful part of the world (and catching a few fish). Don't forget to sign up by June 30th. The folks over at Takemefishing.org continue their Memories on the Water contest. This contest requires you to submit a video via their Facebook page. This contest ends on July 1. The prizes here include a fantastic trip for your whole family to a choice of places. I'd chose Yellowstone. Hey, I like the new look of the blog! Nice! Thx, Erin. Yeah, time for something different. Thanks for the great tips. Need to get on that coloring contest for the kids. Tight Lines. Military Training? Not likely. Think Bassmaster. What's next, seat belt laws? Conservation and The Bestest Trip Ever! Local Waters -- The Movie!